I was keen to talk about contagion… but besides their new website & trailer there haven’t been many new announcements last week. The guys at Oxeye Game Studio & Mojang on the other hand are bringing substantial news for game lovers: last Friday the debut alpha version of Cobalt finally saw the daylight. 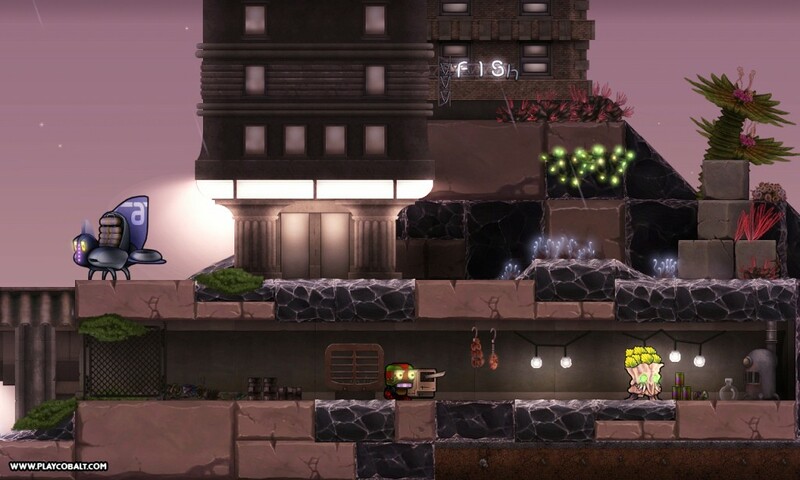 The Oxeye team helped by Minecraft developer Mojang (for distribution mainly) brings a big-eyed cyborg to your computers “for long missions with low chance of success”. 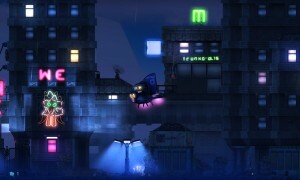 The game which has been in development since 2009 is basically a 2d platform game for PC users (although it wouldn’t surprise us if they release an iPad version short after the full release), which despite being originally developed as a single-player game it has now become more of a multiplayer co-op mode game (like many others… single player is no fun anymore). Also noticing the music & sound by Anosou which gave the game an audio nomination for this year’s IGF awards…. and while we wait for the full version, the alpha version is already available for $10 (we wish it were free…. or at least a paywhatyouwant formula), the figure surely justifies an early hands-on into one of the most anticipated games of next year. More info on plans, level editors, community… etc… this way.